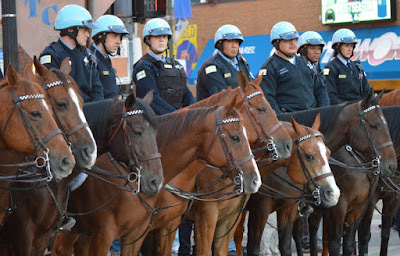 4:40PM - The police horsies have arrived! 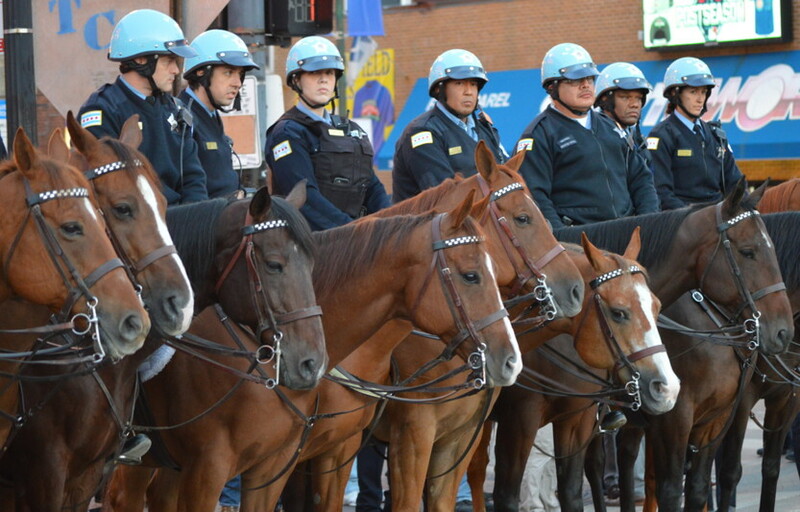 They’re saddled up on Addison. 5:34PM - “They got a male in the firehouse intoxicated and delusional." 1052 W. Waveland. 8:20PM - Yay! 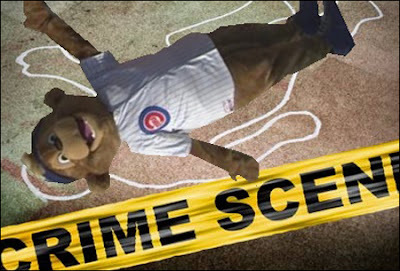 1 hour and 15 minutes after the opening pitch, we have the first Wrigleyville arrest of the Cubs season. Simple battery. 3700 block of N Clark. 9:50PM - Dispatcher: "When you get rollin' there's a man who can't walk. 1142 Addison." 9:55PM - "A male is passed out on top of the caller's car.” Addison and Ashland. 10:12PM - Another arrest. Clark and Addison. 10:20PM - Assault in progress. A man threatening people inside 7-Eleven. Oh, yeah. He’s bleeding from the face. 3407 N. Halsted. 10:32PM - 700 block of Brompton for the man who’s bleeding after putting his hand through a window. 10:34PM - Clark and Roscoe for the man who’s swinging a bat at passers-by. He’s dressed in a baseball uniform. 10:19PM - Man passed out in the women’s bathroom. 954 Newport. 11:46PM - Domestic. Woman hit in the head with a bottle outside 10XX W. Newport. 12:19AM - The Cubby Bear is holding one for breaking out windows. Also, Sluggers says three guys they just kicked out are fighting in the middle of the street. 12:28AM - Check on the suspicious man with bloody hands. Halsted and Belmont. 1:40AM - Yep! People are still getting arrested. The night’s third known arrest stems from a fight outside of Moe’s Cantina, 3518 N. Clark.